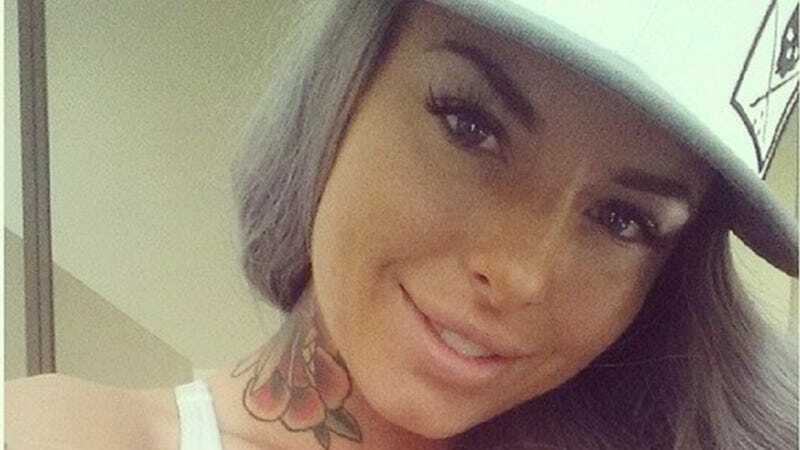 More details have emerged in the tragic assault on Christy Mack by her ex-boyfriend, MMA fighter War Machine. Both Mack and War Machine alleged that there was a third person present during the assault and now the man, who is a reality star, has been identified. And Dog the Bounty Hunter has vowed to track War Machine down. Mack and War Machine had very different accounts of what went on the night of the assault. Mack stated that her ex-boyfriend (they've been broken up since May) showed up unexpectedly, became enraged when he found her with a male friend and beat both of them before sexually assaulting Mack. War Machine unconvincingly alleged that he was coming to propose to Mack (because she is still his property, after all) and had to fight for his life for some reason that can't be made clear in 140 characters or less. Not surprisingly, no one believes him and he is still on the run. First, the third man involved in the assault has been identified as Corey Thomas, who many may recognize from the show Megan Wants a Millionaire. You may remember this show because it was cancelled after only 3 episodes aired, amid controversy stemming from the deaths of contestant Ryan Jenkins and his wife Jasmine Fiore (Jenkins allegedly murdered Fiore and committed suicide). Thomas is said to be suffering from two black eyes, a broken nose, and other injuries he sustained when War Machine beat and bit him. Second, War Machine remains on the loose. He's stopped tweeting about how he's the victim in all this, but still hasn't turned himself in. That's why Dog the Bounty Hunter has vowed to find War Machine and bring him to justice. For his new show. Because nothing says "I care about domestic violence and the dignity of the victims" like saddling up a camera crew and confronting the batterer on television for ratings. Maybe if you're going to hunt him, do it privately? Maybe don't send out twitter warnings? Maybe just leave it alone, Dog the Bounty Hunter, because law enforcement is on it and your reality show is a piss-poor reason to get involved in this? What happened to Mack and Thomas is horrible, it isn't something that you should be using to troll for more fame and a second season of your show. Just go home. Maybe brush your mullet. New plan: Find War Machine through proper and legal channels that don't involve a reality show.